Based out of Metzingen Germany, Hugo Boss is one of the world market leaders in the premium and luxury segment of the apparel market, developing high-end women’s and men’s fashion and accessories. 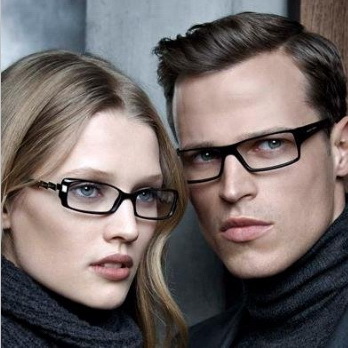 The company offers a wide range of designer glasses for men and women alike, with brands that target clearly defined consumer group personalities. BOSS – This brand encompasses class, refined elegance, care for detail and high quality materials. BOSS products, with a style that is well-fitting to any situation, reflect a classical inspiration, while the HUGO collection, made with high value and quality materials (titanium and beta-titanium) offers a wide spectrum of non-conventional contrasts, according to post-modern tastes. BOSS Orange – BOSS Orange eyewear is a new collection for independent men and women, with their own unique, selfmade sense of style. Eyewear frames designed for a young target that seeks the most up-to-date fashion trends, modern appeal and contemporary design. For men, styles with casual and urban personality. For women, feminine styles with fashion allure. Visit the Hugo Boss website. We carry Kate Spade frames too!